For more details, check out the program’s flyer and itinerary. 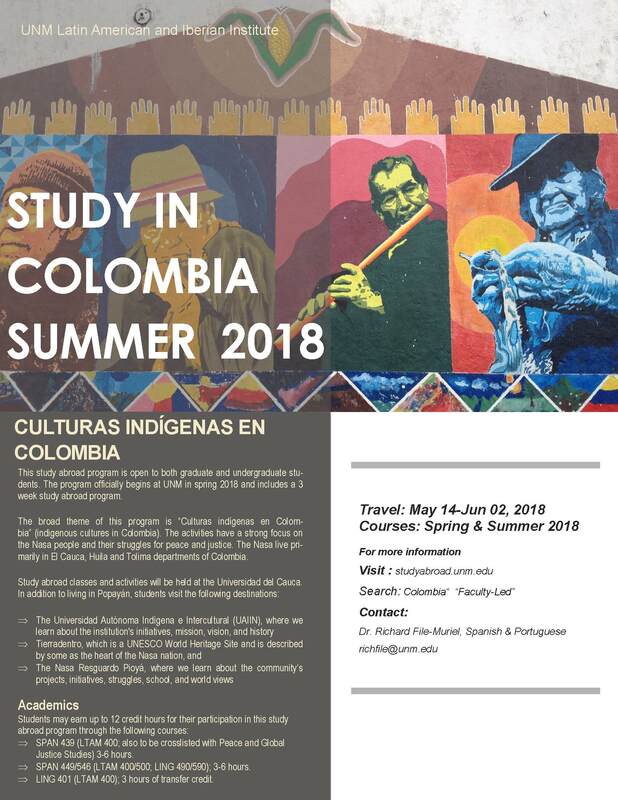 The University of New Mexico, through the Honors College and the Department of Spanish and Portuguese, presents Conexiones- an intensive program of Culture and Language study at UNM and the field site, Cáceres (Extremadura). Conexiones offers students up to ten semester hours' credit, with two orientation sessions at UNM and thirty days of field session. Students who participate in the program may enroll in several classes during the Spring semester and earn up to 12 hours of university credit after completing the program. 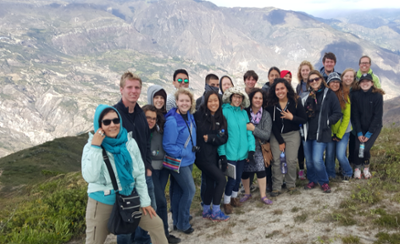 Study abroad classes will be held at the Universidad del Cauca. In addition to living in Popayán, students visit the following destinations: 1) the Universidad Autónoma Indígena e Intercultural (UAIIN), where we learn about the institution's initiatives, mission, vision, and history, 2) Tierradentro, which is the heartland of the Nasa nation and a UNESCO World Heritage Site, and 3) the Nasa Resguardo Pioyá, where we learn about the community’s projects, initiatives, struggles, education, and world views. The primary language of instruction is Spanish. For more details, check out the program’s flyer and brochure or watch the youtube video for more insight.